Make your big event a success! 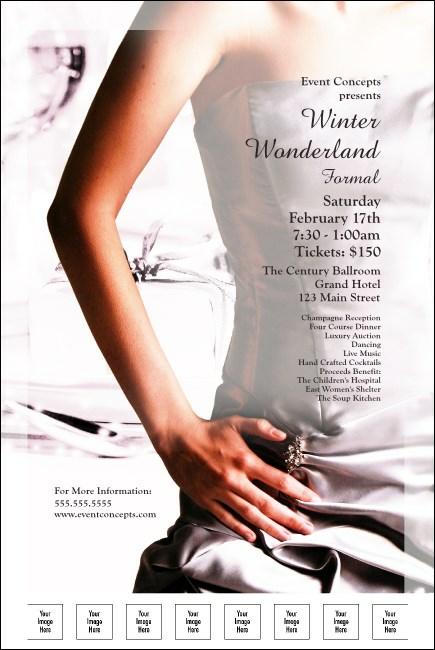 Let your organization’s next fundraiser be the best attended ever with the Dinner Dance Poster. Perfect for dinner parties large and small, this colorful and classically designed poster template has space for eight of your own images, so you can highlight speakers and performers. Be the talk of the town with matching event materials from TicketPrinting.com.